Last week I shared an Instagram tip about creating placeholders for your Instagram quotes, tips, new blog post, or whatever call-to-action you want to share. So many of you wanted more information about this. So this blog post is for you! 1. Square Instagram photo dimensions are 1080x1080. Bear that in mind when you design your templates. Use 1080x1080 to optimize the size and quality of your templates. 2. 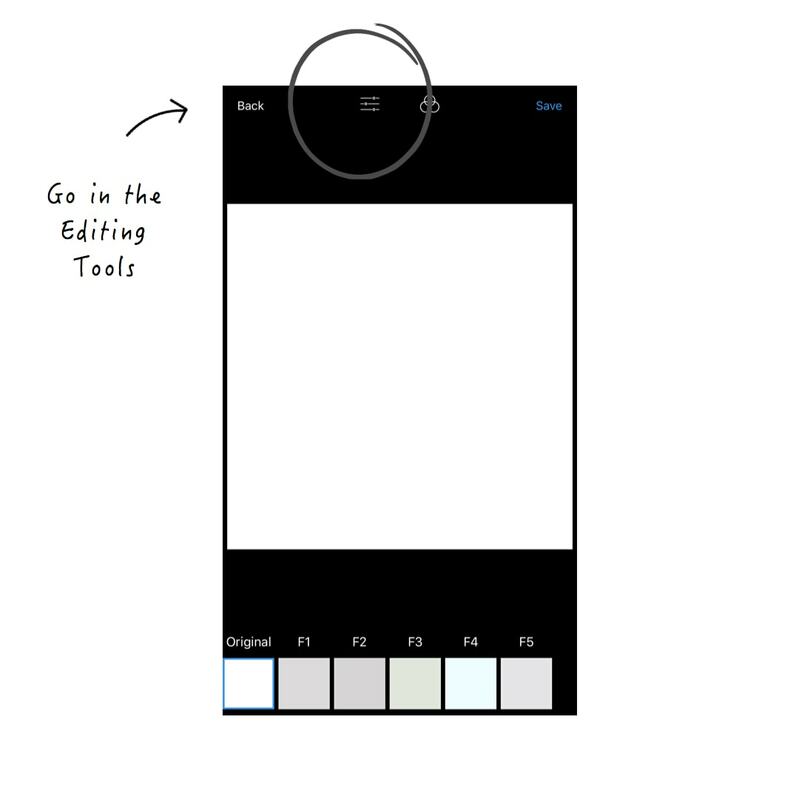 Create a special album in your camera roll (call it “IG Templates” for example). 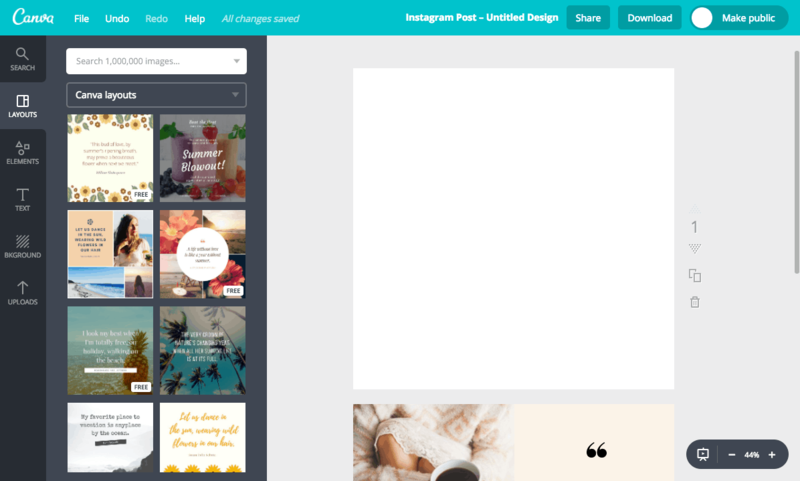 You can save your Instagram post templates in this album for quick access. 3. 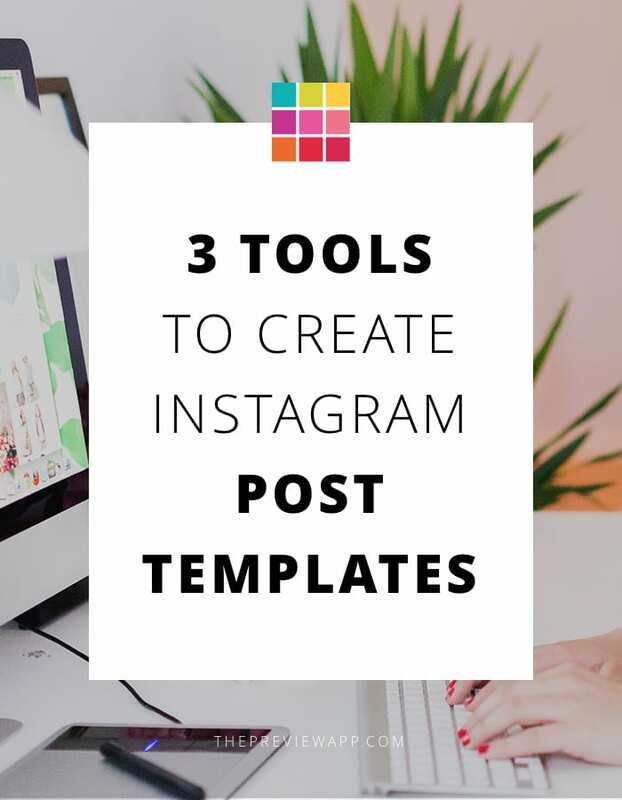 Make sure the templates you create (or buy) go with your Instagram theme. Your post templates should complement your style. Let’s start with the easiest. That is what I do for my Instagram feed. 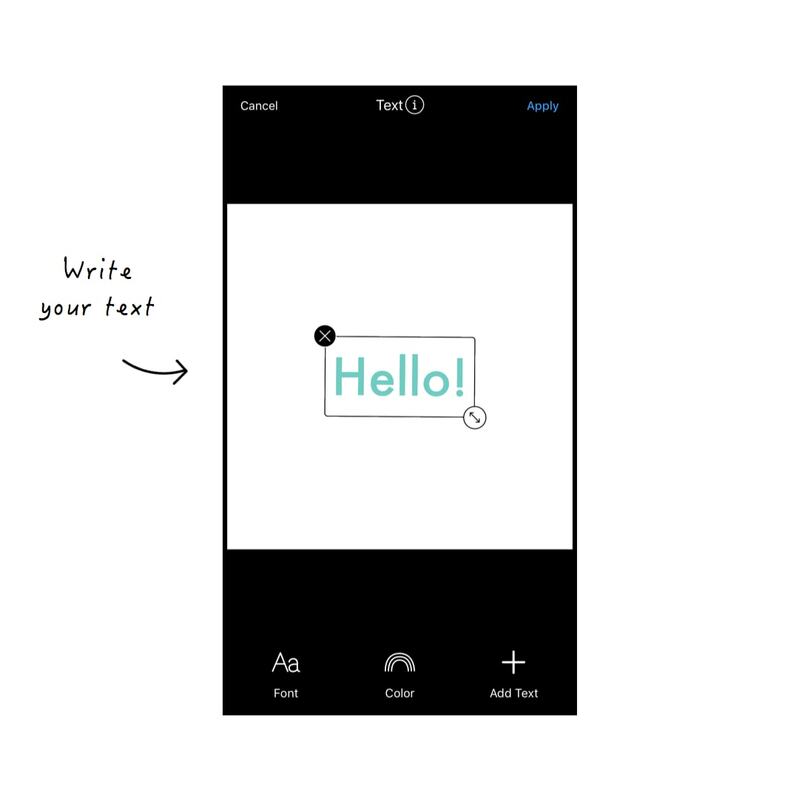 I use a white square image and write my text on top using Preview app. You can use a white image like me too. Or you can use your own pre-made template (I’m going to show you how to design it below). You can change the color of the text, the size and the font. 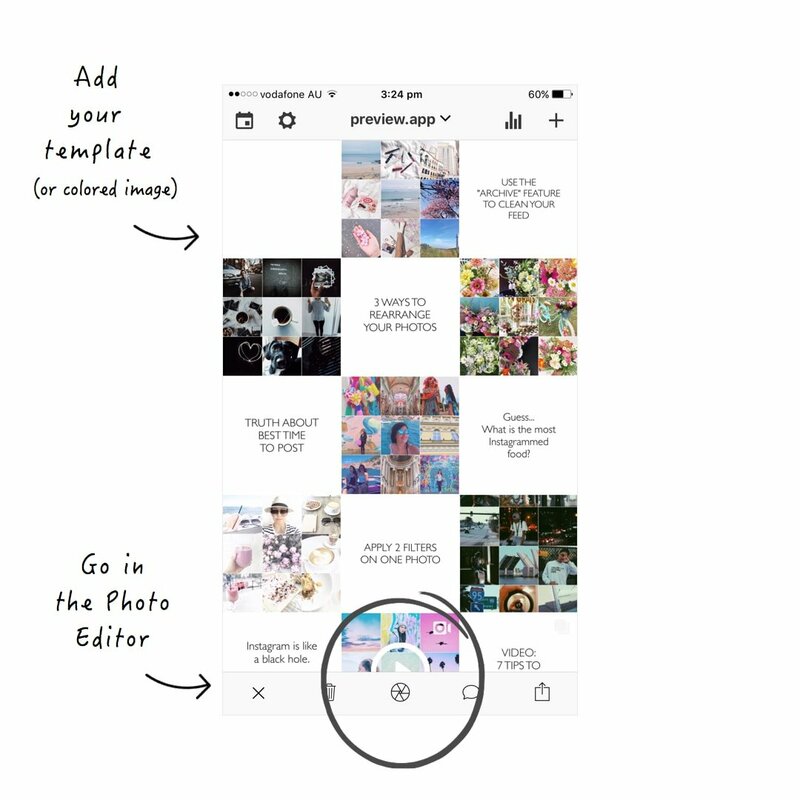 Canva comes with a lot of pre-made templates for Instagram posts. Some are free, some are paid. If you can’t find a template you like, you can start with a blank canvas and create your own Instagram post templates using your own photos, fonts and style. Canva is very easy to use. You can use it on your computer and also on your phone with the Canva app. 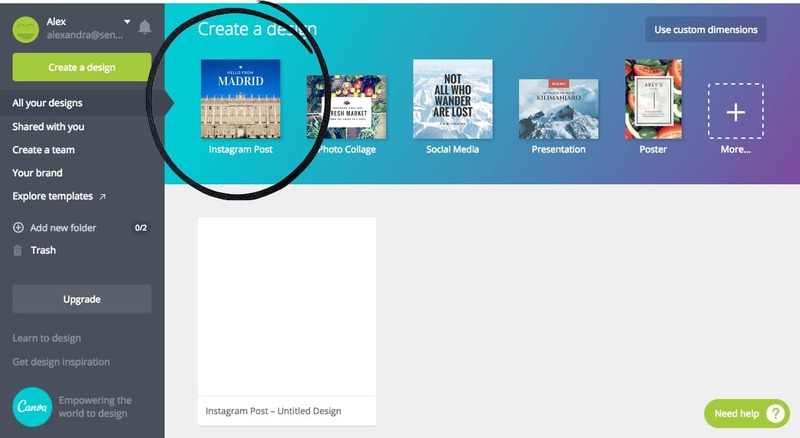 Quick tip: You can prepare a couple of designs inside Canva from your computer. Then jump on the Canva app. 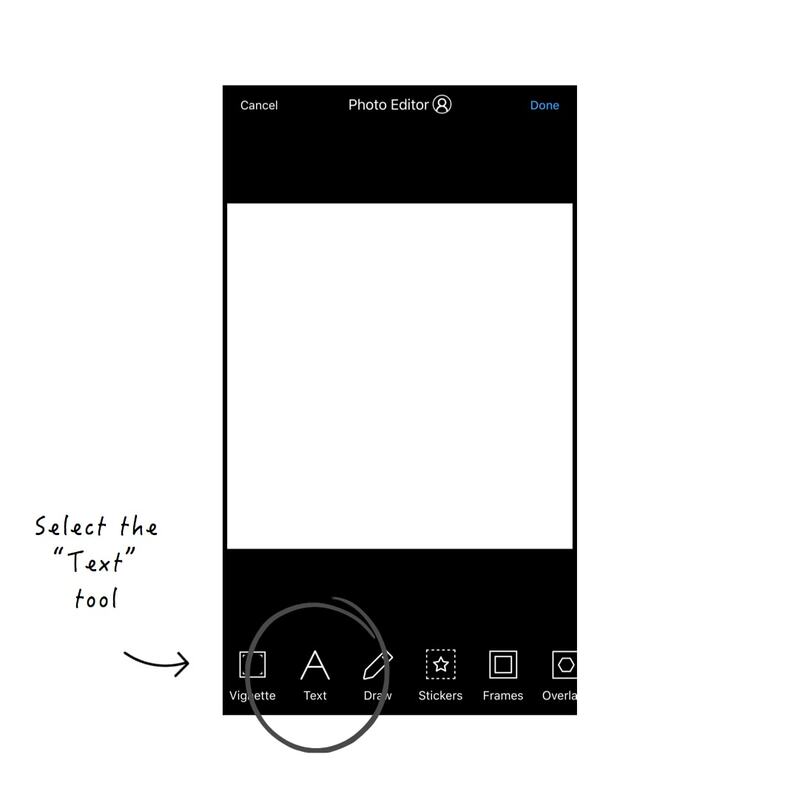 Save your templates in your camera roll, add them to your Preview app to schedule your feed. 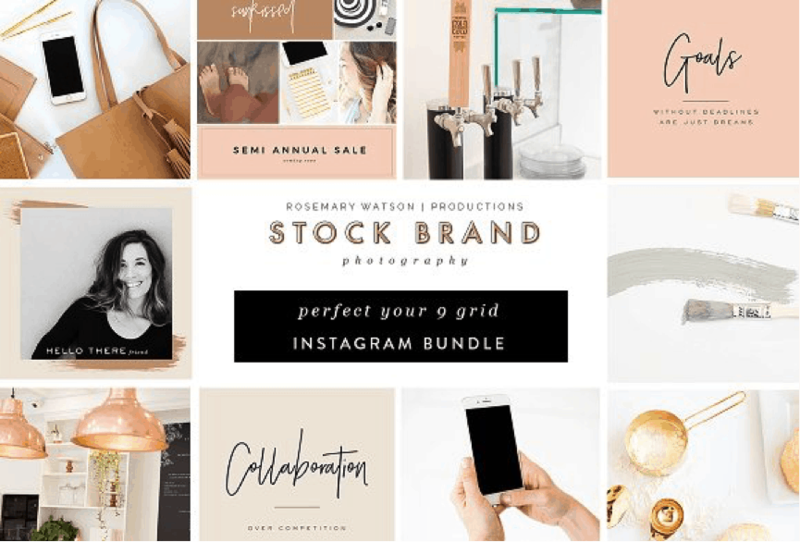 The third alternative is to purchase ready-made Instagram templates from Creative Market. 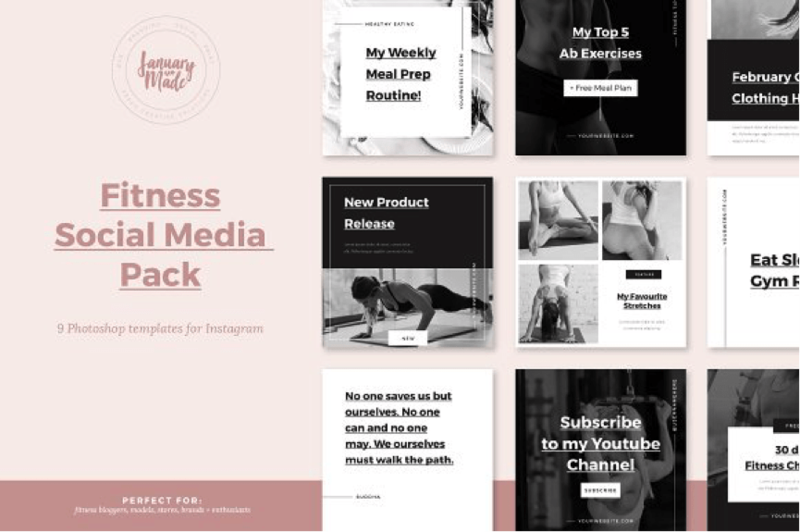 There are many different templates available based on what Instagram theme you’re creating. You will need Adobe Photoshop or Illustrator to open the PSD files and edit the text and photos. 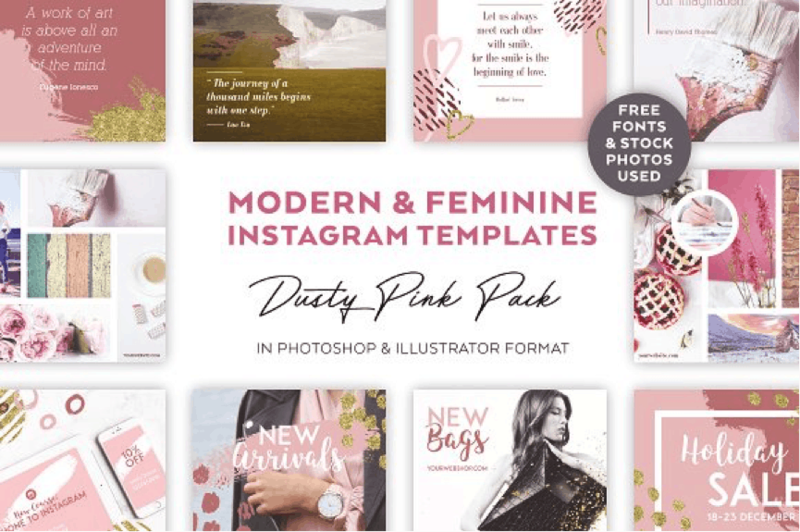 Here are some examples of Instagram posts templates you can find. Browse yourself through the Creative Market shop and see if something catches your eyes. Find a style you can stick to. It’s ok to use different Instagram templates, as long as they complement each other. This is why I so strongly recommend you stick to your Instagram theme (which includes your color palette). I hope you have found this article useful. If you have, please let me know in the comments below. Ask any questions too. Until next time, see you all on Instagram (@preview.app) for more tips, tricks and Instagram theme ideas!